Navy is beyond chic. This blue hue is an amazing replacement neutral for black. If you enjoy a modern take on color combinations, navy is just the thing your space needs. There are so many colors both simple and unique that mix and match beautifully with navy. 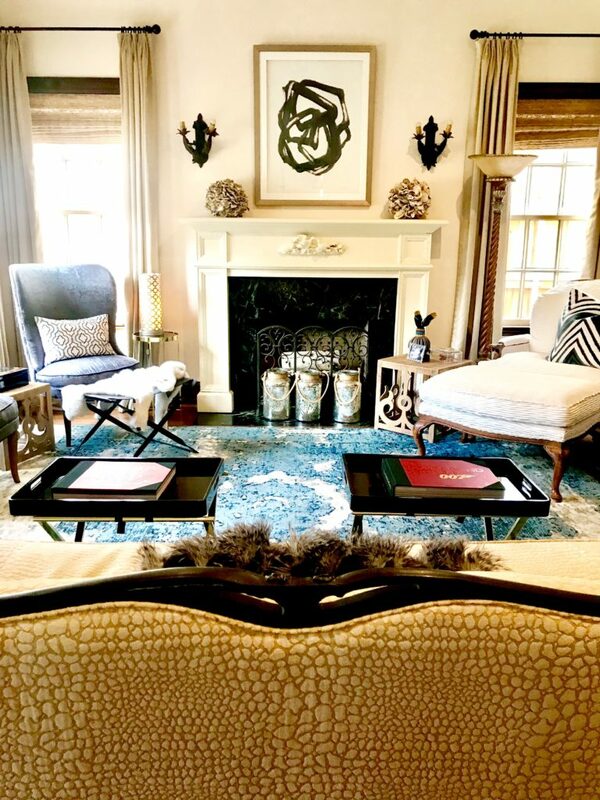 When paired correctly, a lush, super refined space is the result, and we live for it! 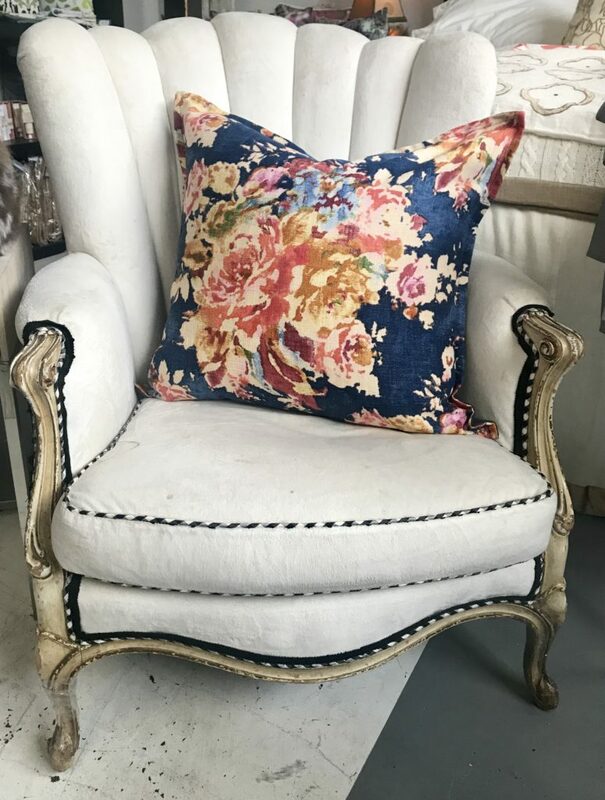 We took a new perspective and built vivid and engaging navy combos for a bold and fun way to add a little pizazz to your home or office that is beyond refined and simply stunning. 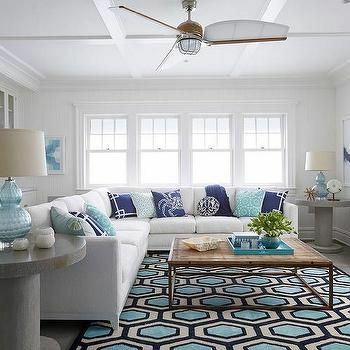 These two cool-toned colors are staples in nautical inspired homes. However, that isn’t the only way this gorgeous color duo can be enjoyed. When paired properly, this color scheme can be elegant and sophisticated, while still being absolutely lively and super striking. A subtle hint of both colors paired with an otherwise neutral setting is beautiful inside AND in your outdoor living space as well. This combo is classic and gorgeously inviting and refined. 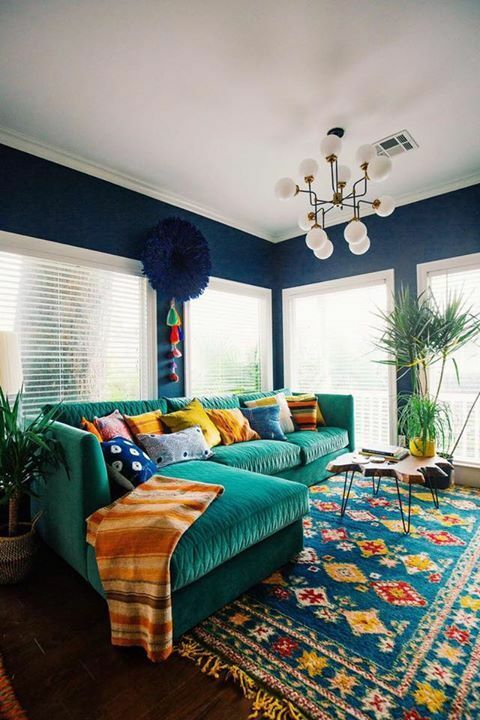 Mix navy and turquoise with warm yellows and oranges for a truly bohemian chic style that is also so very livable and impressive. 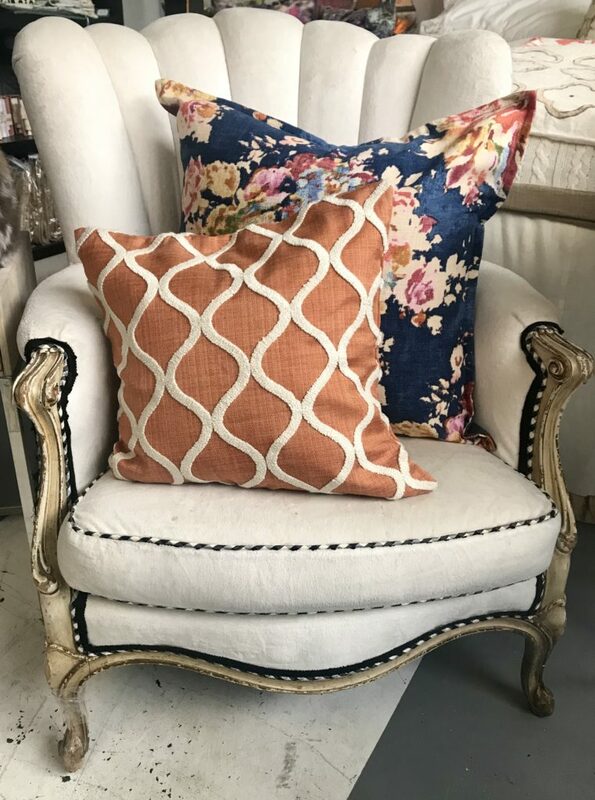 KF Tip ~ Keep it sophisticated by adding the yellows, oranges, and corals as accessories and hints throughout your the room. Spring is right around the corner and these two colors paired together scream warm, sunny weather! 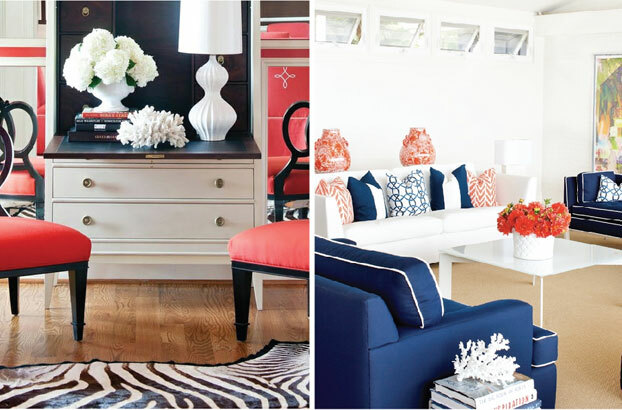 More is more with navy and coral decor, and it can easily look sleek with a few modern touches. Whether you prefer it in your hallway, kitchen, or bedroom, this duo is sure to liven up any space in your home. 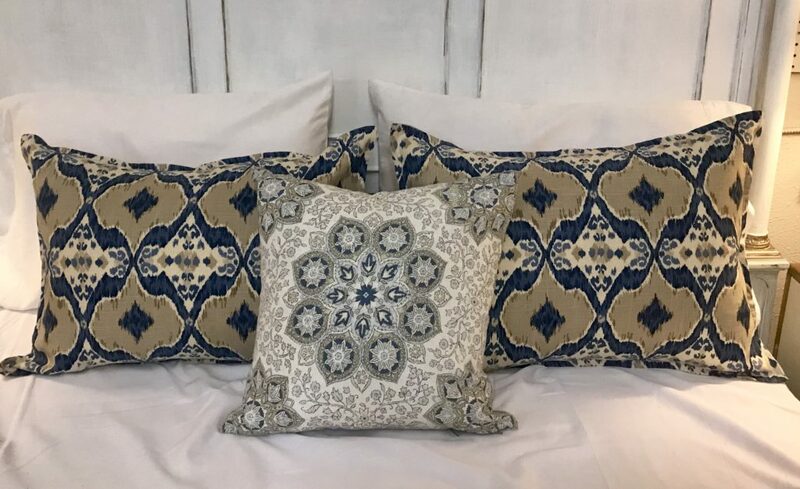 Adding a few fun throw pillows is the perfect and easiest way to incorporate a little bit of color to a more neutral space. 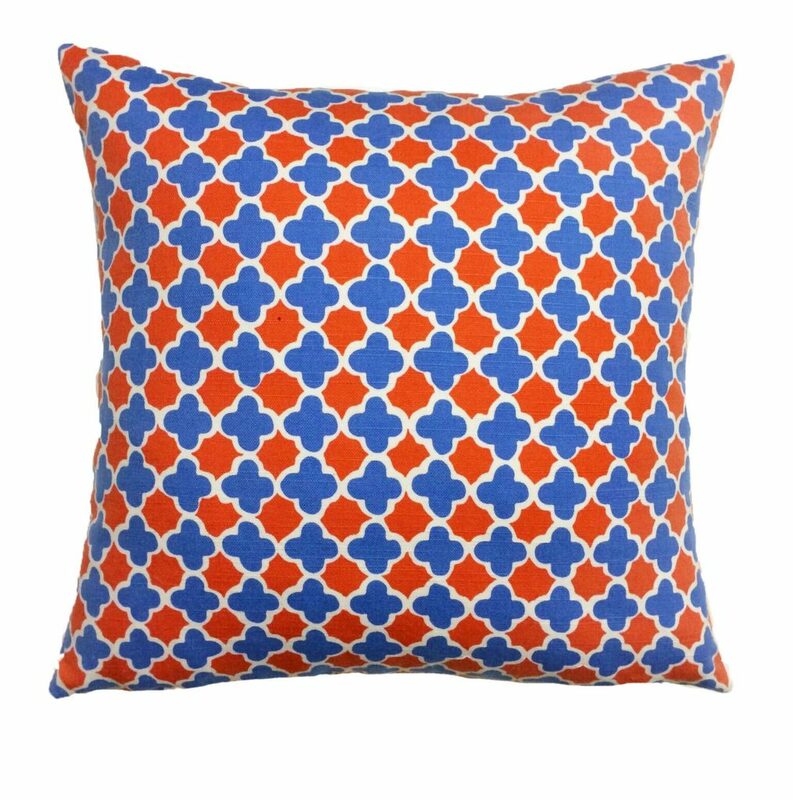 The title says navy and coral, but that doesn’t mean they’re the only two colors to use. Mix other bold colors like fuchsia and yellow with this combo for a truly fun and youthful look. KF tip ~ Pull out a subtle color from a multicolored pillow and incorporate more throw pillows, accessories, art, and throws in that hue. 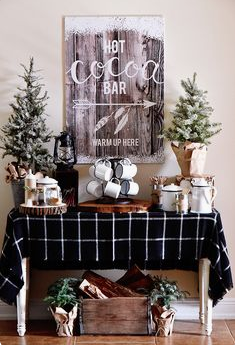 This is a true way to create a lovely designer space that is inviting and engaging for you, your family, and your guests. Although this color combo works wanders in any space, it is perfect for a child’s room, craft room, or even for a giftware station. 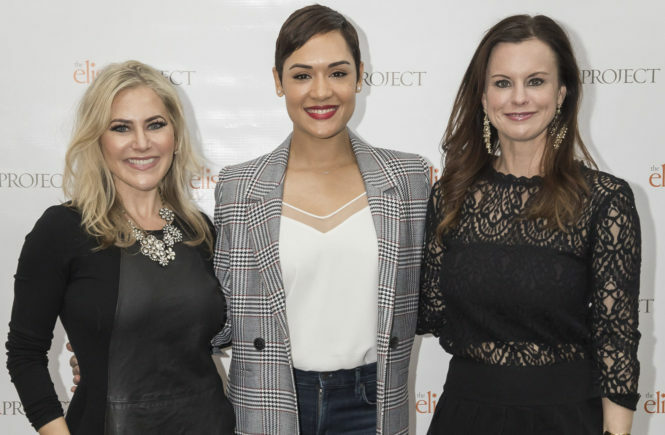 It’s lively and unique…. perfect for a creative vibe. With mirrored glass and modern art and accessories, this color combo screams modern and super high end. 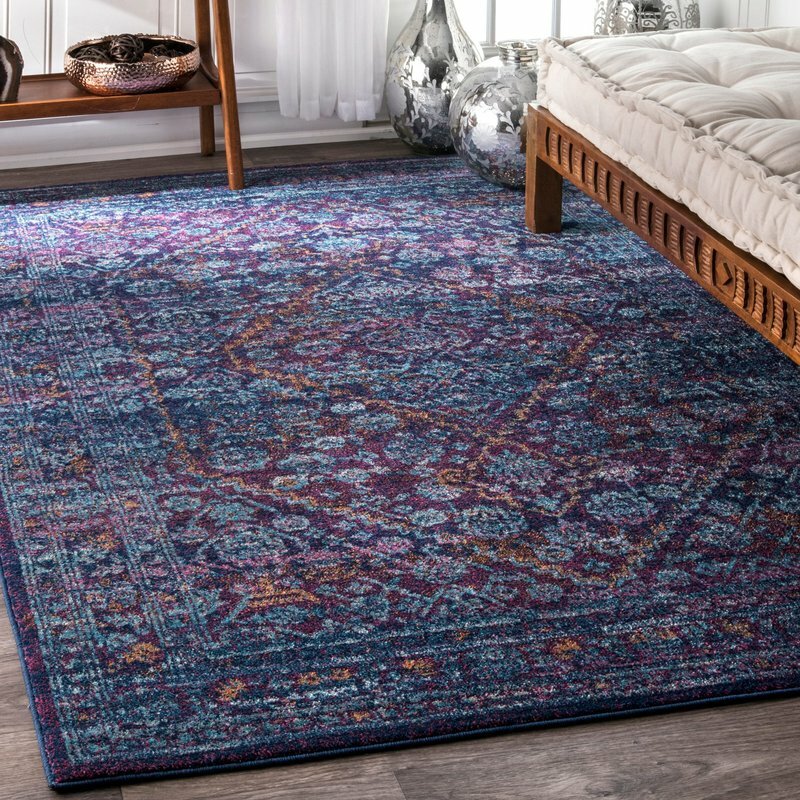 Add in pops of these colors through art, accents, and furniture to small nooks, hallways and rooms throughout your house for a gorgeous and refined impact. 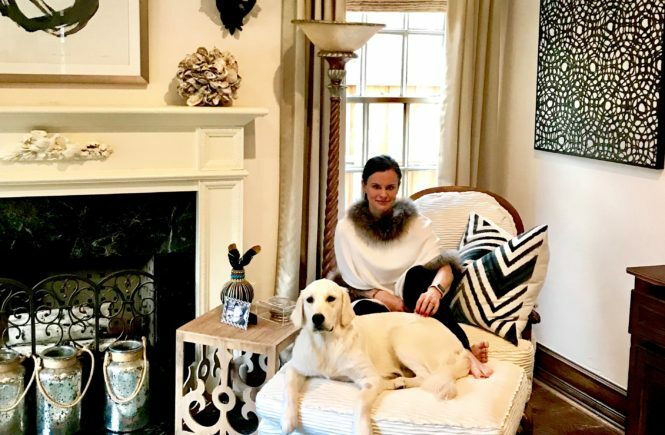 A preppy duo on paper can easily turn into Art Deco or maybe the most chic inspo we can imagine! 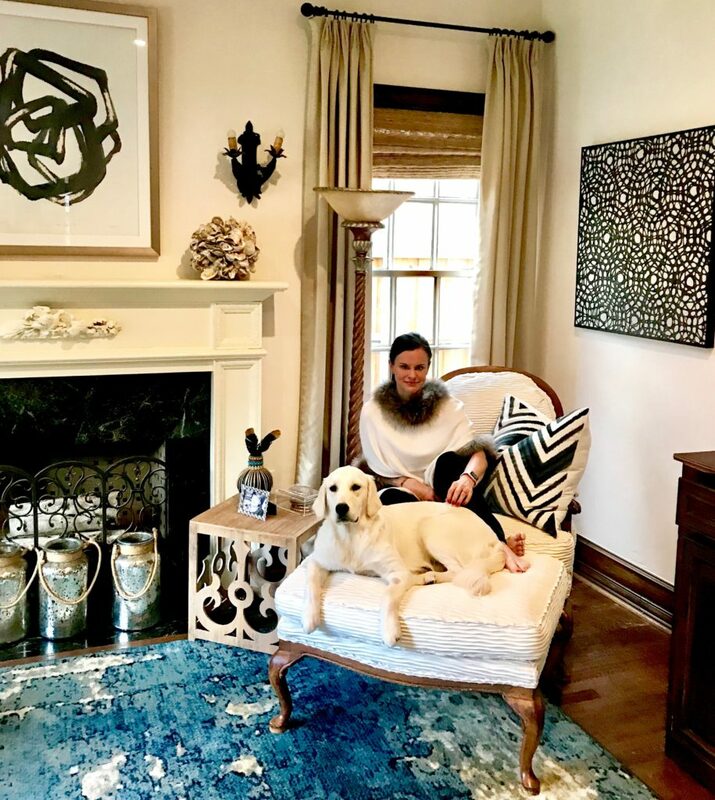 Whether you have a more traditional sense of style, or you like your room as free spirited looking as it possibly can – this duo can work for you. A beyond refined color combo, navy & lavender makes an extraordinary statement in any space. 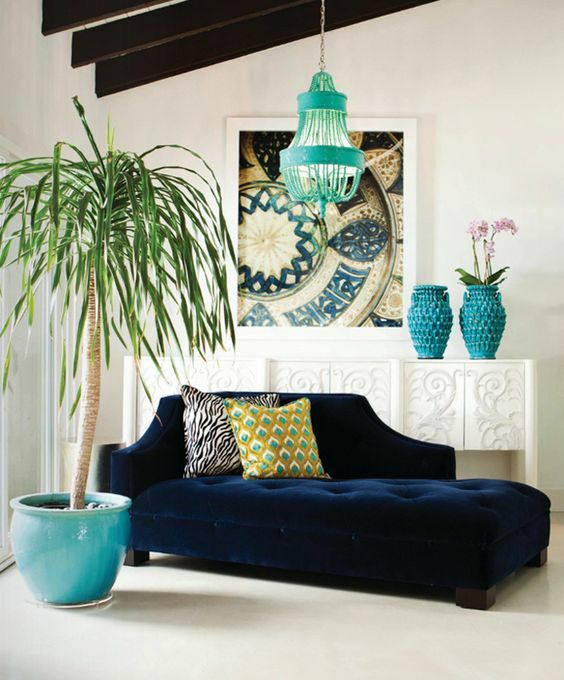 Take a traditional style room and add these hues for a space that is anything but boring. The outline is totally traditional, but the colors and accessories make it completely current and right now. 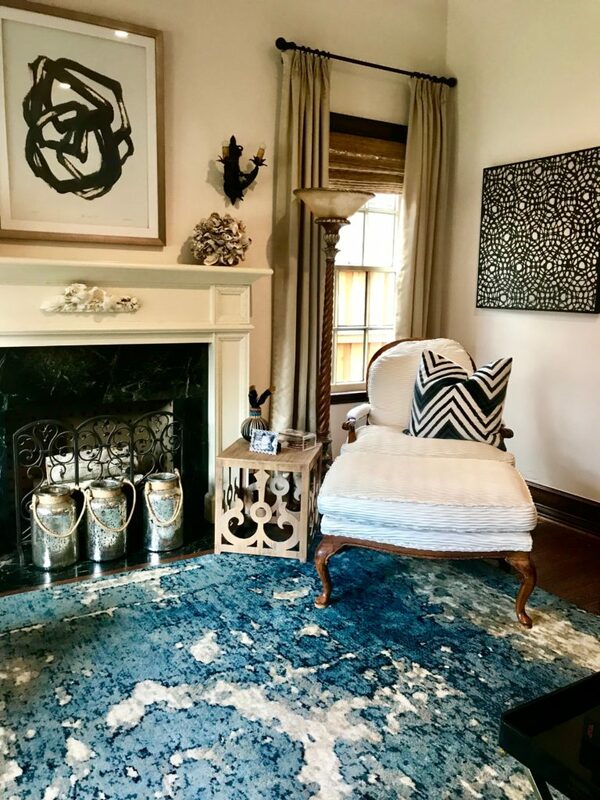 KF Tip ~ Tie any room together whether modern, classic or bohemian with an oriental rug that has the colors incorporated and speaks to your personal style and aesthetic as well..
From the furniture to the walls, the accessories and the pillows, color makes a statement. Navy is actually a neutral in its own right, and when paired with greys and stone accents, the look is an awesome and striking color combo. 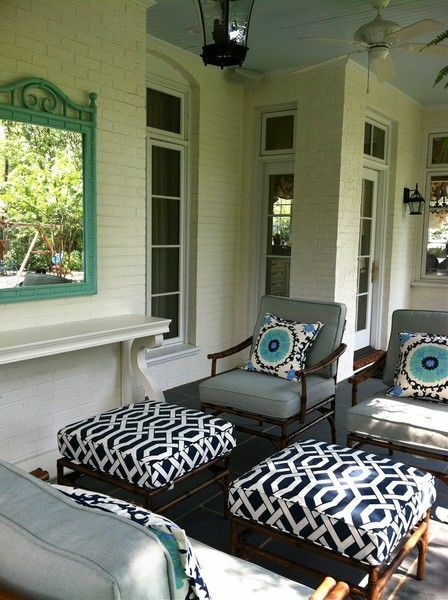 KF Tip ~ Not ready to redo your entire home? Stay neutral with the bigger, key pieces and simply add in pops of your favorite colors with pillows, fabrics, wall paint and textures. These elements are an easy to add in AND to replace when you are ready for a change. If you’re not a huge fan of a pop of color and neutrals are more your speed, navy is the perfect hue to ease you in. Soft and inviting, it pairs beautifully with different shades in both cool and warm tone neutral families. 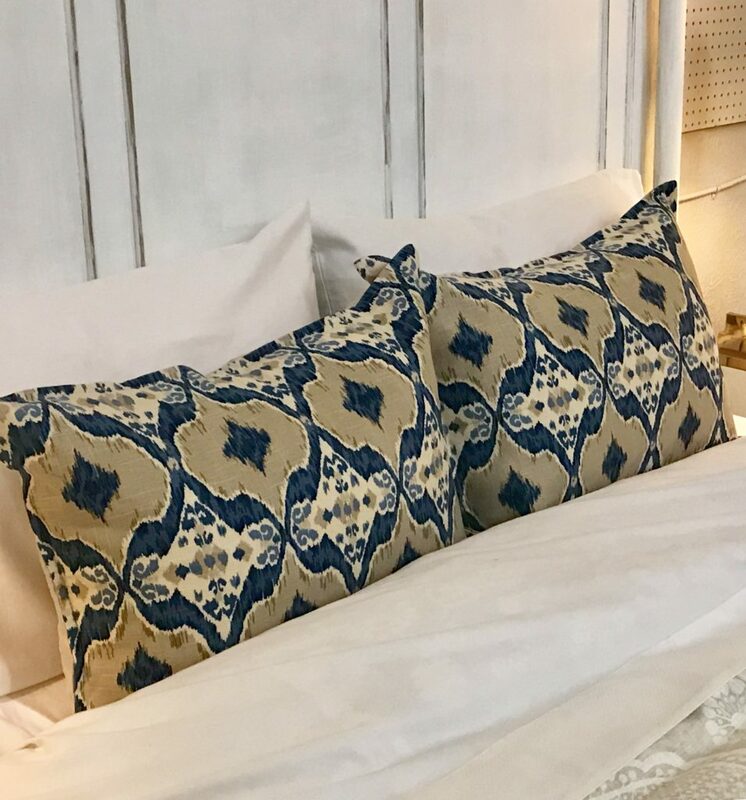 KF Tip ~ A patterned sham or pillow on a neutral bed or sofa is a quick and inexpensive way to update your bedroom or sofa and incorporate a pop of this luxe hue into your space to make it current and trendsetting. 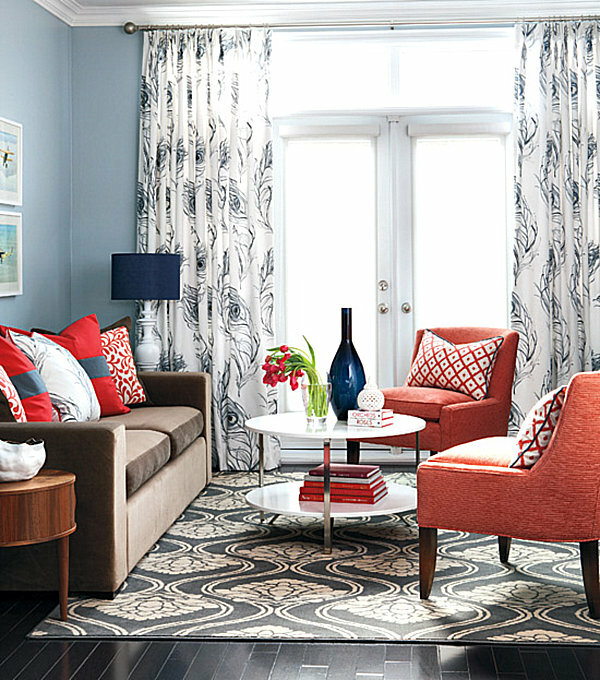 Mixing prints and colors that correlate is huge when making a space look and feel cohesive. 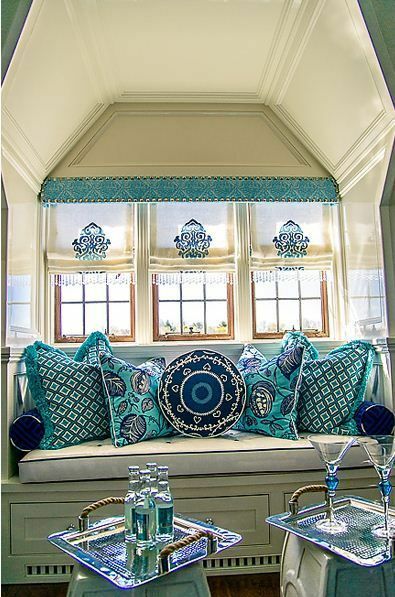 Blues, taupes, tans and creams all paired together look so luxe and gorgeous and make an eye-catching statement. This color combo is a classic office staple for a truly productive work environment. 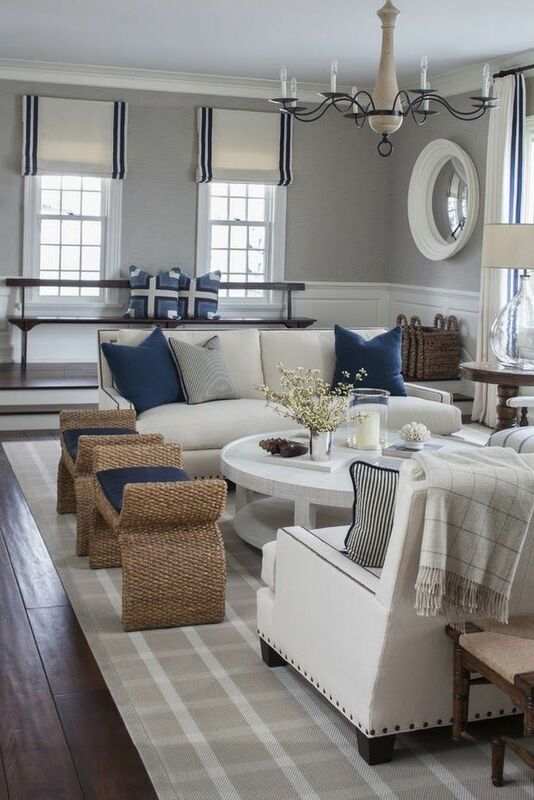 Navy paired with different shades of neutrals is such a calming and relaxing environment. 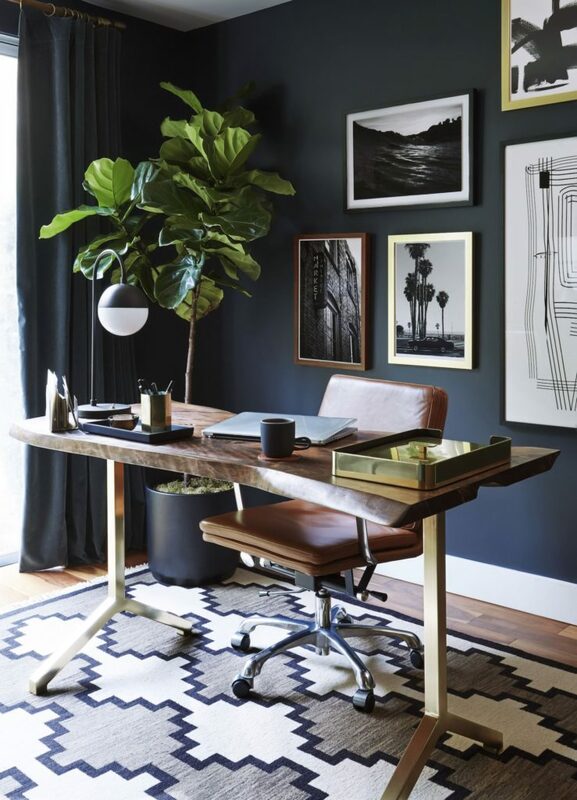 We feel inspired to work just looking at this thoughtful and engaging space. Cream and navy are a classic, timeless. Dark tones paired with light hues for contrast is one of our favorite combos. Next to natural wood shades, it’s a pure, classic, and clean look that we simply will never get tired of seeing. 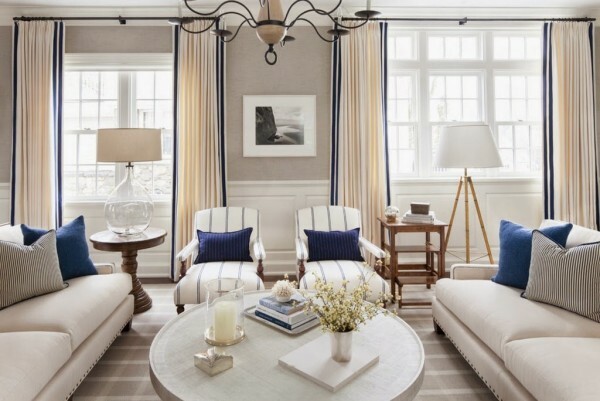 Kathy’s front room in her home is the perfect example of mixing navy with neutrals. 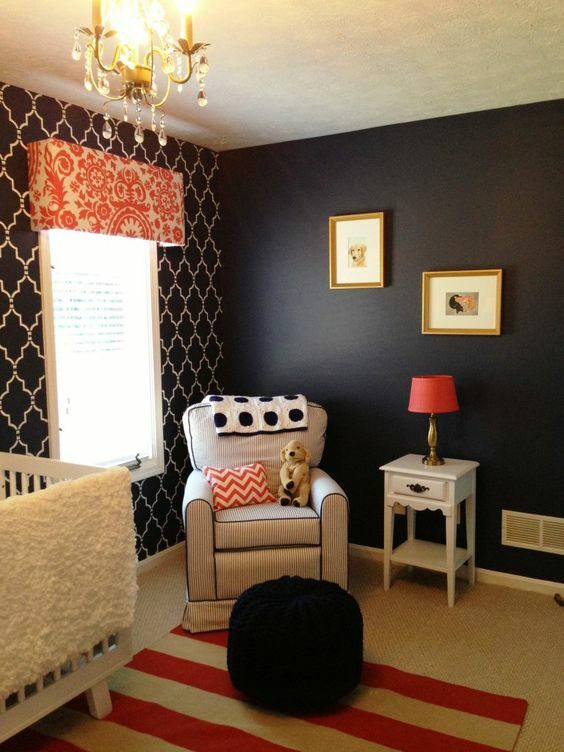 Her space grounded in navy has a mix of creams, blacks, blues, and taupes for timeless appeal with comfortable style. When styling color combos, paint is so important. The shade, undertone, and area that it will cover must all be taken into consideration when paring it with more than just neutrals. The light must also be considered, both natural and man made. Looking at the lighting in the morning and in the afternoon, on a rainy day and a sunny day. The right color of wall may be one of the most impactful and perfect finishing accents to create the most beautiful room, and while choosing the right color may seem a daunting task, the environment it creates is priceless and the impact extraordinary.